Did you know that @aditi03chauhan, @westhamladies' Indian goalkeeper, enjoyed success in basketball as well? Indian women's national football team player Aditi Chauhan was one of the biggest stories of the year in Indian sports in 2015. 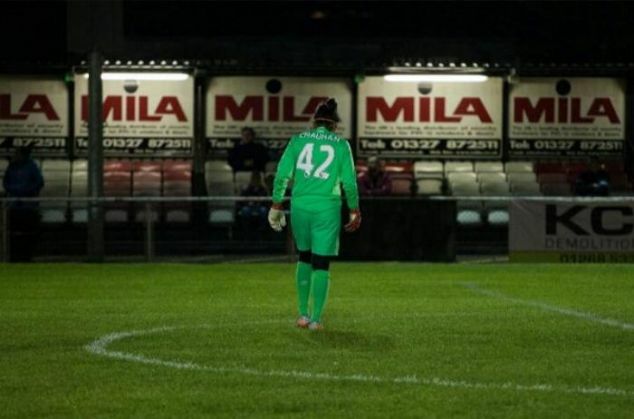 The 23-year old goalkeeper made history earlier this year by becoming the first Indian citizen to sign for an English football club, when she moved to West Ham Ladies. Aditi, who has established her place in the club's first team, however, faces a fight to finish the season in England, as her student visa expires in January. Despite calls for help from Indian authorities, she is yet to receive any. A Change.org petition to India's Ministry of External Affairs has garnered over 11,000 signatures, but her future in England still remains uncertain. While it is football that Aditi Chauhan has made a career in, she was more into basketball as a child. She even participated in zonal and inter-zonal levels before being convinced by a coach that football was her true calling. Aditi broke into the Delhi U19 state team at the tender age of 15, after successfully attending the selection trials. She holds an M.Sc in Sports Management, having studied the course at Loughborough University. While in England, Aditi has also worked for the UK branch of Decathlon, which is one of the world's largest sporting goods retailers. Before signing for West Ham, Aditi had the chance to move to the club's local rivals Millwall, but was unable to do so as she held a student visa. She made her debut for West Ham in a 5-0 defeat at the hands of Coventry United on 16 August, 2015. At the recent Asian Football Awards in London, she was awarded the 'Woman in Football Award', becoming the first Indian to win the accolade. While Aditi has been exceptional on the football field, she is also a meritorious student. The footballer from Delhi scored 93 per cent in her higher secondary board exams despite being more involved in sports. Aditi holds a B.Com (Hons) degree as well, which she completed from Delhi University's Jesus and Mary College. She later went on to do her Masters in the same course from the Sri Ram College of Commerce. Aditi Chauhan's favourite goalkeeper is Bayern Munich and Germany no. 1 Manuel Neuer. TWEET THIS 10 things you need to know about @westhamladies' Indian goalkeeper @aditi03chauhan Did you know that @aditi03chauhan, @westhamladies' Indian goalkeeper, enjoyed success in basketball as well?